Home / Uncategorized / FREE to KU & Prime Members! Wow, do I have something downright amazing to share with you. 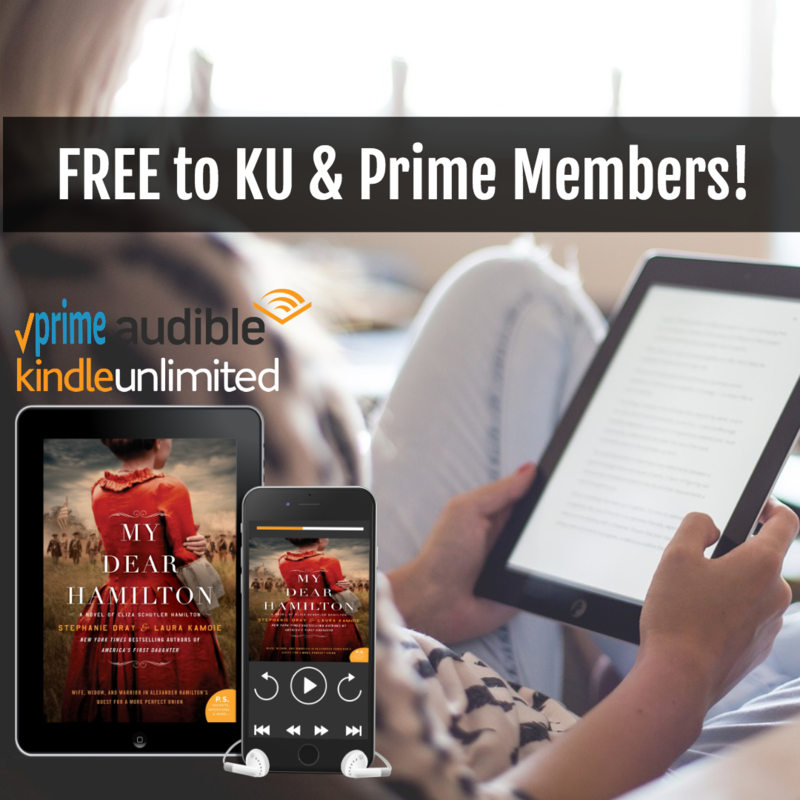 My historical novel My Dear Hamilton is FREE for Amazon Prime and KindleUnlimited members in ebook and audiobook! If you subscribe to either of these programs, this is a HUGE deal and the perfect opportunity to get #ElizasStory as it’s never been told before for FREE! But this is only for a limited time, so don’t delay. And once you grab your copy of the book, be sure to read and review so you can get a FREE book of deleted scenes and behind-the-book commentary, available here! Thanks for reading! And please help me spread the word to any of your book-loving friends!